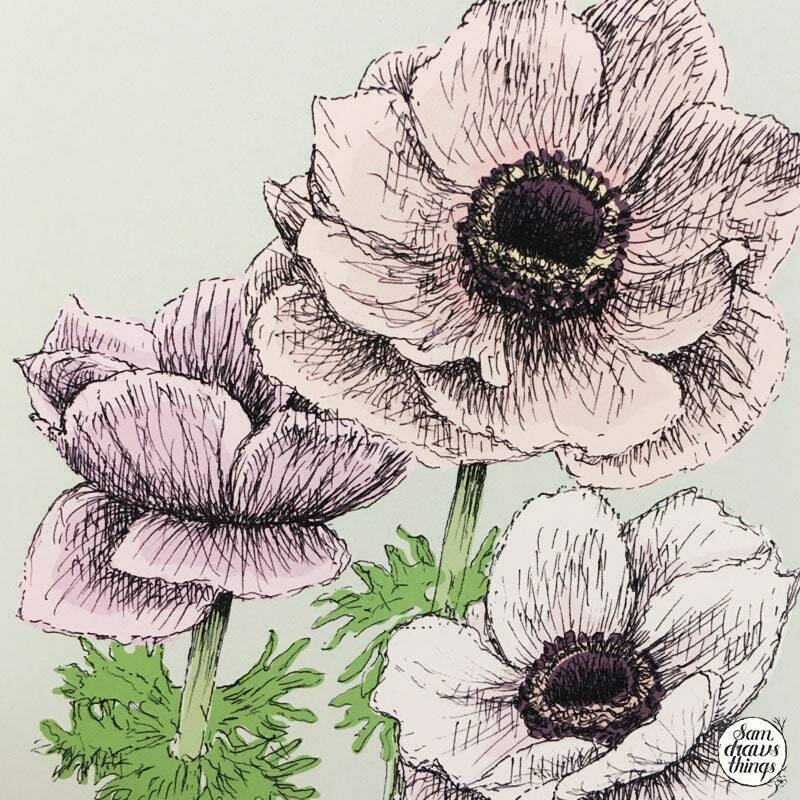 The Anemones are carefully drawn in pen and ink. 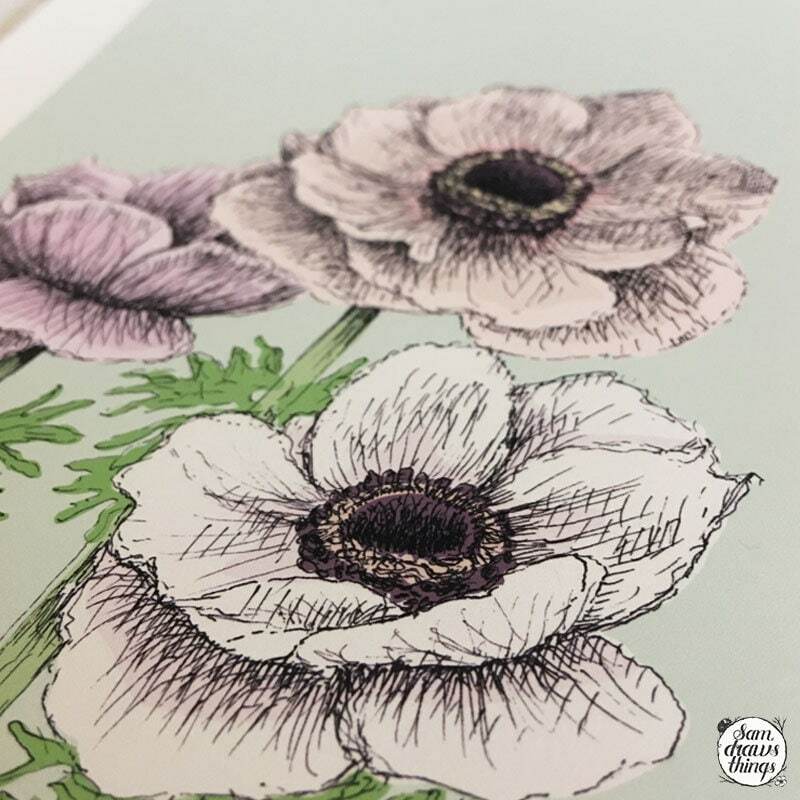 I've added the colour and text digitally to capture the pale hues of these sweet flowers. 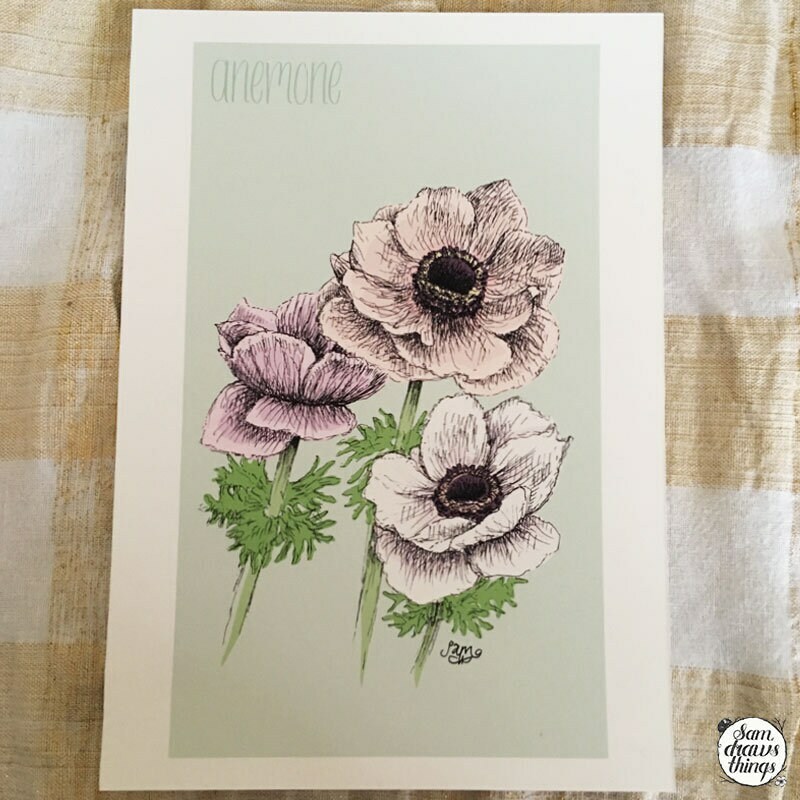 This listing is for a signed A5 giclee Anemone print on lovely archival paper. 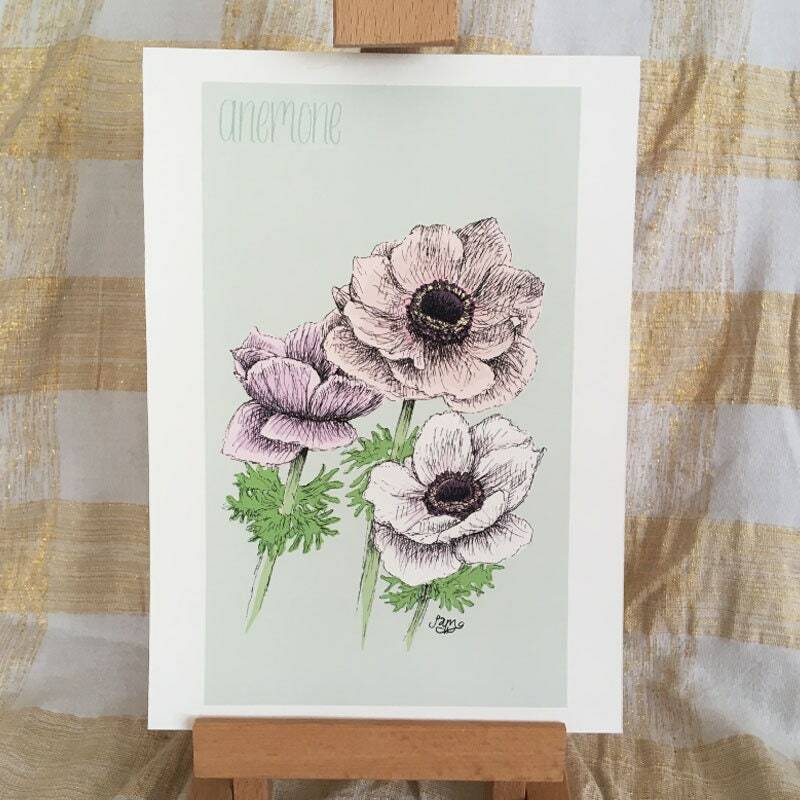 It is unmounted, and comes safely wrapped in biodegradable cellophane ready for you to find the perfect frame.